When registering on our site, as appropriate, you may be asked to enter your name, email address to help you with your experience. We collect information from you when you register on our site. We don't use your email for any mailing lists, only so you can login to our website and enhance website options. We do not use vulnerability scanning and/or scanning to PCI standards. We only provide tv guide live listings and additional sports information. We do not use Malware Scanning. 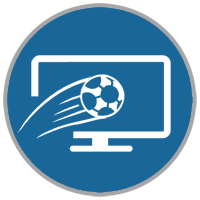 Save user's preferences for future visits (favorite teams, leagues, countries, my sports...). Google Ads cookies to serve ads based on a user's prior visits to your website or other websites. If you turn cookies off it will turn off most of the features of the site.